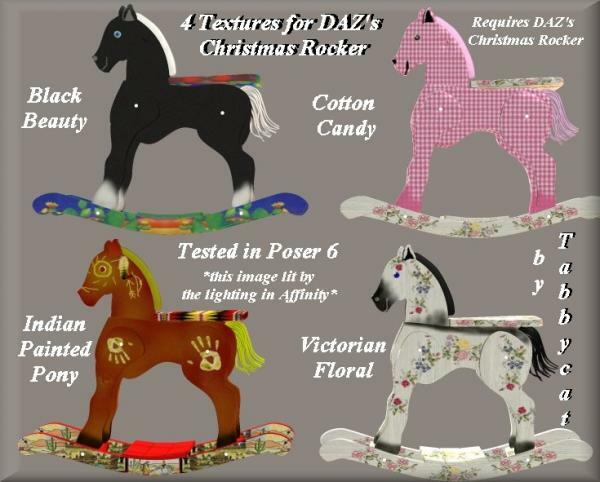 4 Textures for DAZ's Christmas Rocker, a wooden rocking horse. These are darling! Thank you.